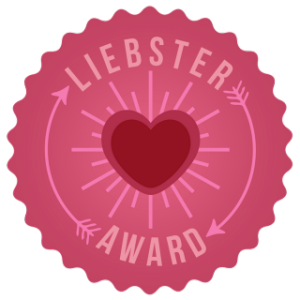 I WON the Liebster Award for Blogging! The Liebster Award for Blogging, is a award given to new note-worthy blogs (those with less than 200 followers). Before I was nominated, I knew people were reading my blog, because some of those people had left very thoughtful comments, but I had no idea that I would be up for an award. Again I would just like to say thank you! So do I choose to accept this award! Hell YEAH!!! 1. I still watch Saturday morning cartoons. 2. I’ve had three near death experiences…but thankfully they were near, not exact. 3. If I could go back in time, I would and then I’d kill the guy who invented Math. 4. If I could live anywhere in the world, it would be in Scotland. 5. I’m an arachnophobia…that’s just a fancy way of saying that I’m terrified of spiders. 6. I’ m the laziest person you’ll never meet, because showing up for the actual meeting would require effort on my part. 7. I once appeared on a TV new cast, but I missed it. 8. When I was small I used to dress like a princess for Halloween, until I realized that being a witch was way more fun. 9. I have a very big ego…the biggest in the world, I’m sure…no make that the universe. 10. My Disney movie is Beauty and the Beast. 11. My favourite Greek myth is the one about Narcissus…I could really relate to how he fell in love with himself…lol. 1. Chicken or the Egg – CHOOSE! I would have to say egg – maybe a chicken was the result of some random mutation in a bird’s egg. 2. How did you come up with the name of your blog? Muse (aka, someone who is a total inspiration to art – yup, that me, an inspiration). But in all seriously, my blog is full on random thoughts and ponderings (or rather musings) on books I’ve read, things I’ve watched and my experiences in the amazing journey that we call life, so the title naturally fit. 3. Which one of your posts/book reviews was the most fun to write? My favourite post to date has got to be my review of Lydia Dare’s series on the Westfield Brothers, called “Lydia Dare: The Dynamic Duo with a Terrific Trilogy, Plus One“. I’m glad I had the chance to share this series, and these writers, with readers – especially considering they were relatively new at the time. The best part was when Lydia Dare – the writing tag-team of Tammy Falkner and Ava Stone – stopped by to comment! 4. What did you eat for breakfast today? Some watermelon. I LOVE watermelons! And some toast. 5. Where are all the baby pigeons? Divebombing some poor stranger on the sidewalk. Run, mon ami, RUN! 7. Which book character do you simply love the most? Lothaire, from Kresley Cole’s Lothaire – I love his sarcasm, bad attitude and narcissism, and his total mushiness when it comes to his wife, and her alone. I’m glad Kresley Cole didn’t make him a conventional hero. 8. Which is your favourite book series? 9. Ninjas or pirates – CHOOSE! PIRATES!!! The Pirates of the Carribbean films, and Jack Sparrow, have forever stolen my heart. 10. If you could have a supernatural power what would it be? Pyrokenesis, because I think the ability to control and create fire would be EPIC! 11. What’s black and white and red all over? Nominees, should you choose to accept this award in honour of your efforts in cyberspace, then you must answer the following questions on your blog or in the comments box below. What made you create a blog? What mythical creature would you want as a pet? If you could meet any one in the world, who would you meet? If you could invite three people (dead or alive) to a dinner party, who would you pick? If your friends had to define you in a single sentence, what would they say? If you could travel to any city in the world, where would you go? If you get the chance, check out the nominees. First of all, the next novel by Lydia Dare. I believe that is Lady Madeline Hayburn (introduced in Never Been Bit, Sorcha and Alec’s novel) and her hero, one of Dash’s brothers (not sure which one, yet…but you all are welcome to guess). Updates. Updates. And more updates…oh, and a review, too! Yes, you all deserve HUGE rewards for your patience. (Contrary to popular belief, I only received about 50 angry emails a day telling me to update as opposed to say 500.) Although it seems that while I’ve been away, cyberspace has moved on without me. Plus, I had some fun revamping the first chapter of Apollo’s Necromancer…again. The novel is now titled Dagger of the Sun, and the first chapter reflects this darker tone. I’m sad about leaving out so much of the comedy for the fantasy and action, but I’m afraid it had to be done. Good news is that Delphyne and Apollo get to fight the dragon (yes, there is a dragon because what would a fantasy novel be without one) a whole lot sooner and Kale gets to do some serious black magic. I would also to take this opportunity to thank those of you who replied to me plea for critique partners. THANK YOU! 🙂 I am ever grateful and will contact you guys soon. (You know who you are.) I’m not entirely sure how critique partnerships work so bear with me. Of course, by disappearance from cyberspace was not entirely do to edits. University, as always looms over the horizon — and now that I’ve actually found a volunteer teaching position (glorified slave labour) — it’s harder to find time to blog anything. That, and nothing truly interesting happens when teaching watching a grade 9 and 10 English classes write in-class essays. Ainsley’s dismay is real. She’s on a mission to prevent embarrassment to Queen Victoria, and time is running out. Though the needs he’d stirred long ago during her unhappy marriage rise again, she knows it would be foolish to fall for love-them-and-leave-them Cameron Mackenzie. But he asks her a question that challenges her beliefs about love and happiness, and she finds herself risking all to be with the black sheep of the Mackenzie family. I adored this book. Cam was a sweetheart, and almost topped his brother Ian as the perfect hero. In fact, I think the two are tied for the top spot. Cam wasn’t your usual bachelor who was afraid of matrimony because he wanted to sleep around, but he had an actual reason. His first marriage was a disaster (with a capital “d”), and he finds it hard to trust after the abuse (emotional and physical) that his wife put him through. I was glad though that he was clear-headed enough to see that Ainsley was different and that he could trust her. It’s rare to have a great hero paired with an equally awesome heroine, but Ms. Ashley seems to have perfected the technique because I have absolutely no complaints about Ainsley. She was intelligent enough to realize that accepting help is not a slight against her power a a woman. Ainsley’s first marriage was more of a marriage-of-convenience for her, though she did care for her husband and he cared for her, but he was a lot older and died leaving her with little money. Ainsley works for Queen Victoria, who is a bit of a controlling biotch in the novel, and has to find a way to free her from a blackmailer. Though the blackmailer was more of a side-show, an excuse really to get Cam and Ainsley back together. Together, Cam and Ainsley were combustible! 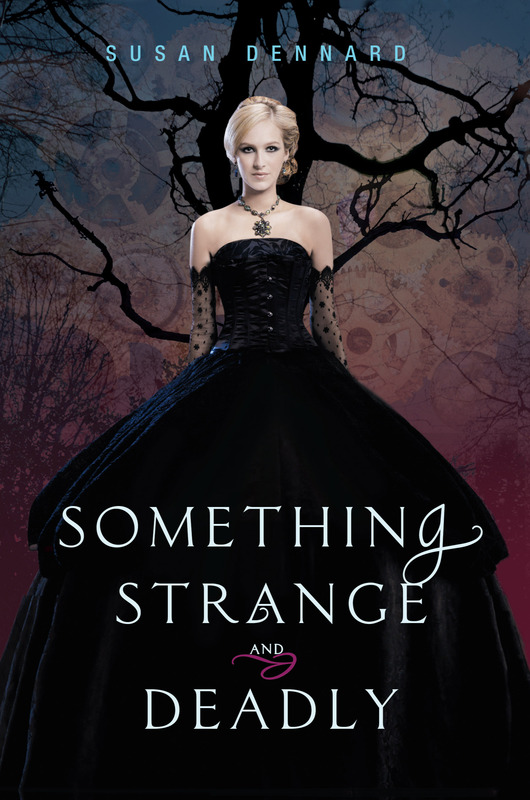 Hopefully, this post redeems me for neglecting you guys for so long, but if not maybe my next post — a review of Lydia Dare‘s Gentlemen Vampyres series will. P.S: I have to thank Priscilla Shay for introducing me to Luke Evans. She somehow manages to go to university, write, read and scope out hot guys! True talent, that!